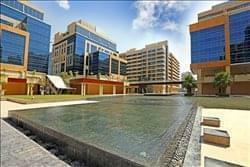 Find My Workspace lists over 95% of the serviced offices market in Downtown Dubai. Simply click Request Quote to check pricing for one office, or Add to Basket for multiple offices. This is a premium provider of fully serviced offices, virtual offices, executive suites conference rooms and meeting facilities in the United Arab Emirates. At this business center the staff pride themselves in the ability to be your ultimate business partner. Whether you are a small grass roots company or a large corporate enterprise, it offers access to state of the art, professional working environments in some of the world’s top locations. Founded by globally renowned property development company. This centre’s rent includes: DEWA, A/C, parking, maintenance expenses, security 24/7, and a furnished office. Additional Services provided by GEBC include PRO services, legal services, sponsoring, partner sourcing, set up new company , reception services , and IT services. This business centre includes high quality European finished offices offering benefits such as: Reception area with a dedicated front of GEBC team, Complimentary refreshments for guests and clients, lexible hours of office access, Office maintenance, Access to the meeting room, Ready to use IT and telephone systems. This space also provides superior additional services, from personal assistants to legal support, free basement parking, on call/ in house building management, retail on the ground floor offers services of Beauty Salon, Café Shops & Food Court. The building is one of the most recognisable landmarks in the area with its elegant design and prominent position to Burj Khalifa. The centre is located on the 23rd floor and provides fully furnished offices, reception areas and a fully equipped boardroom. It also provides direct access to luxury 5-star hotels, the world’s largest mall, restaurants, shops, bars and cafés. Downtown Dubai is one of the popular addresses in town, housing some of the largest companies such as Pepsi, HSBC and Barclays. Fully serviced offices, as per government requirement of 200 sq. ft. This space comes with a facial recognition system that allows 24/7 access to the business centre. As well as meeting room facilities there is dedicated parking which is available upon request. Unlimited tea and coffee is available for all tenants and their clients, alongside phone answering services and PO Box services if required. In addition, companies can benefit from the centre’s administrative support provided on site so that your business can operate as efficiently as possible. There are conference facilities and meeting rooms where you can network, deliver presentations, and interview clients. An environmentally sustainable tall office building is the ultra modern Grade-A home of this business centre in downtown Dubai. The 18-storey ‘green’ tower is situated in one of the most sought-after parts of cosmopolitan Dubai, below the Burj Khalifa, the world’s highest skyscraper, and is one of the first buildings to be LEED certified in the area. It’s also next to the famous Dubai Mall and includes retail outlets over multiple floors. Situated in the heart of Dubai, myOffice downtown business centre is directly situated in front of the iconic Burj Khalifa and is a few steps away from The Dubai Mall. Strategically positioned next to the Emaar Square a financial business district, this prime location is ideal for business exposure to some of the world top companies and organizations. Boulevard Plaza Tower 1 & 2 are influenced by medieval Arabic architecture, these two impressive towers offer an inspiring corporate work environment. These offices are all fitted with contemporary, state-of-the-art furniture, highly secured I. T. infrastructure, comprehensive meeting and conference facilities,luxury business lounges and professional office support services to ensure our client’s workplace requirements are always met. This attractive, well designed premier workplace is truly business-ready. Come in, sit down and start working in an office space fully-equipped with built-in infrastructures and services from in-demand IT to administrative and secretarial support when and where you need it, with no up-front capital expenditures. In addition, at this fantastic centre, businesses will be well provided with beverages, administrative support, company signage and conference facilities. There are multilingual staff and an on-site management team who are happy to help keep your business running as efficiently as possible. One of the trendiest coworking spaces in Dubai, your business will be well provided with excellent services that will enable businesses of any background to flourish under excellent conditions. Space suitable for start-ups and small business in a central and professional location with flexible ways for you to start, manage and grow your business in Dubai. 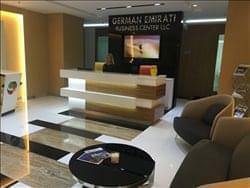 The office is located in Downtown Dubai, the same neighbourhood as Burk Khalifa and Dubai Mall- so you can be assured your clients will be impressed. The space offers start-up desks to private office suites all with shared access to meeting room, kitchen, lounge and much more. To obtain information for your selected Downtown Dubai Serviced Offices, please tick the "Add to basket" box for each office you prefer and complete the form below. We will then send a detailed report via email.